Home/Marketing Strategy, Marketing Tips, Website Development/Does your website work for your customers? The experience that visitors have on your website is so important. Users will be critical of your website when it doesn’t live up to their expectations – and they make those decisions quickly. 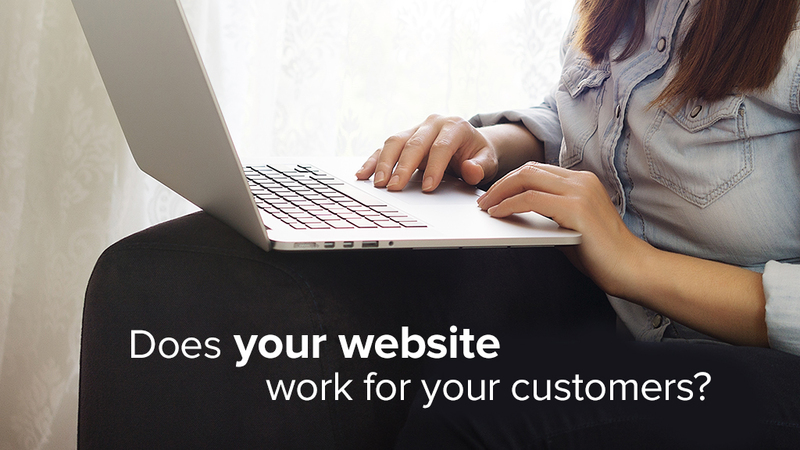 The decision to leave your website happens in a split second. That’s where user experience design comes into play. User experience design (UX) and visual design play different roles when developing a website. The visual design drives the user’s initial impression while the UX design impacts their lasting impression. Meaning, we all remember and avoid something that is difficult to use, no matter how nice it looks. People are inherently attuned to the negative, because it signals danger. These feelings of negativity from their experience on your website will also influence their overall perception of your brand. This cognitive bias is a social-psychology phenomenon called the Halo Effect. The Halo Effect occurs when we make quick decisions based on generalizing from small amounts of data. Through this generalization people transfer their feelings about one aspect of something to another. Fortunately, the Halo Effect works in both positive and negative directions. So how do you make sure your website is creating a positive bias towards your brand? Breaking from convention creates more work for users. Users rely on their previous experiences when using an unfamiliar website. All of these previous experiences combine to create a mental model of how a website should function. For example, a user looking for the search feature on a website will expect to find it in the same place as all of the other websites they’ve used. When your website doesn’t follow the user’s mental model, it forces them to think. When the user shifts focus from completing their task to figuring out how to use the website it causes frustration. Users won’t click when they don’t know what to do. Instead, they will move on to your competitor’s site and you lose that customer. This is particularly true of millennials, who are less tolerant of a poor user experience than the generations before them. Following design conventions is the first step in setting your website up for success. Optimizing the user experience through evaluation and testing is the next step in creating a website that delights your customers and drives revenue. Are you setting your website up for success?